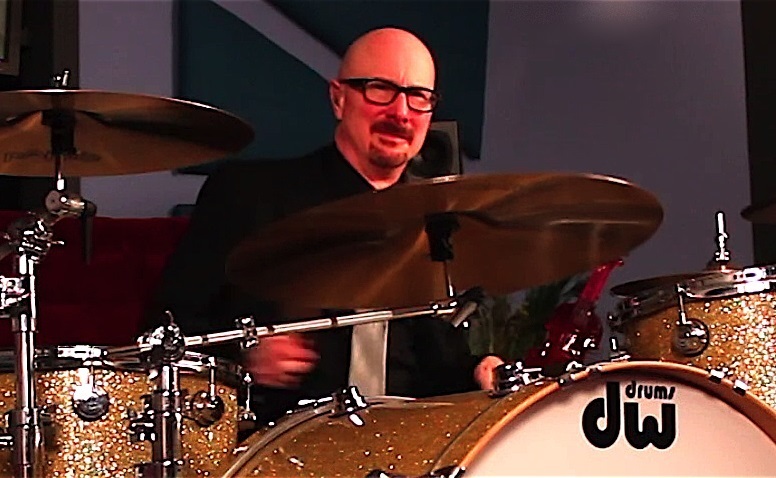 We were delighted to welcome Lou Molino, ARW drummer back to the podcast this week. He shares some thoughts about the ARW tour and the future. 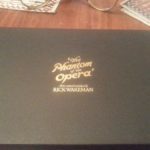 Also, Mark reviews his latest box set – Rick Wakeman’s Phantom of the Opera. Is Lou looking forward to the UK and European leg? What does Lou know about the future direction of the band? Today in WH SMITHS (UK) I saw a brand new magazine that covers the new trend in vinyl. It is shaped size wise like an LP and includes a BIG article on Roger Dean. Another rock magazine covers ARW, there are bits and pieces Yessy in the Prog magazine also. 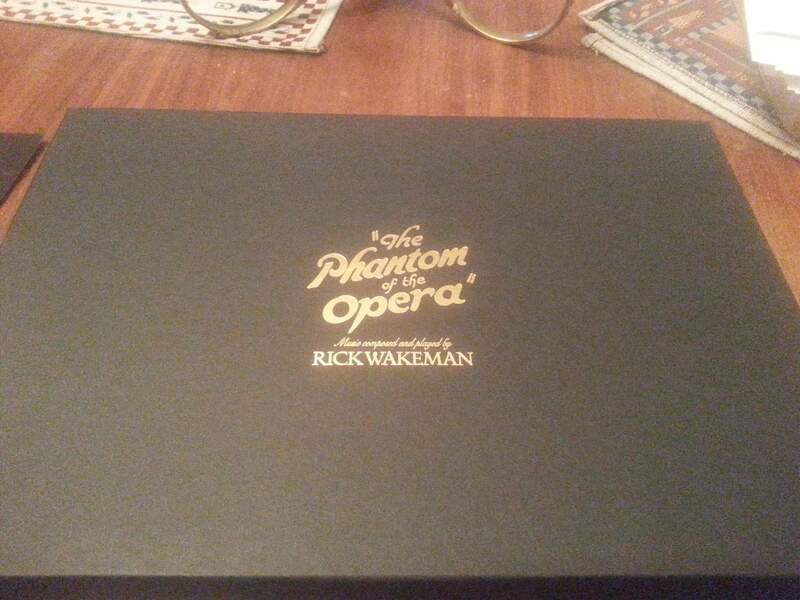 HMV were playing the new Rick Wakeman CD in store. I have some new information on the really early days of Yes for the book project, as I have been interviewing people. I saw recently some photos that have never seen before re Close to the edge time, I hope to use those if I can. I’m working most days on the book project so I hope to enlighten you this year with the result, phew..
Hi David , cannot wait for the release of the new book . I hope it’s in a similar format to Perpetual Change …. which incidentally I would love to see updated , I’m sure there would be a ready market for it . I’ve turned mine into a veritable Yes scrap book . 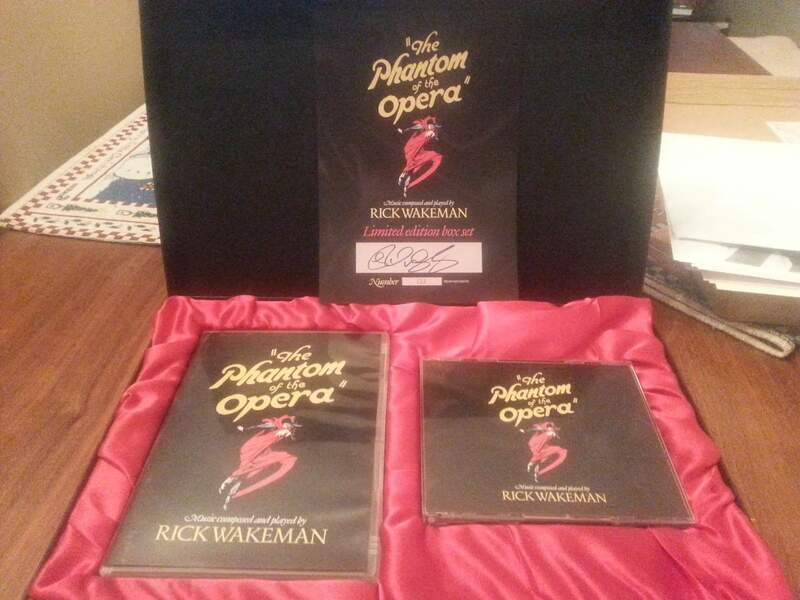 Rick Wakeman saw it at the New Vic in Stoke a few weeks ago and he was amazed at what I had stuffed inside it ! 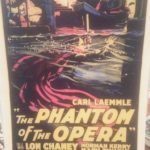 It’s led me on an extensive and expensive collecting spree , starting back from 1964 to present . I met you in Manchester earlier this year and you signed your last new book flier for me ! Added nicely to my signed Perpetual Change . Will any other band members be getting your special treatment ? I hope so …. Thank you very much for the kind words on my projects. The Yes book could be updated, I have been asked in the past to do so, but I have been working on this Jon Anderson book for many years. The plan is for a 2018 publication release date. The best year in fact with all its 50th year history. You will see it on release I am pretty sure you won’t miss out. Ken I didn’t sign many maybe only yours haha. I do remember, I hope I can produce something you and all Yes and Jon fans will enjoy. Hi David , thank you so much for your reply . Perpetual change is a wounderful book . Great to pick up and put down as you wish . My collection of memorabilia is out stripping it ! 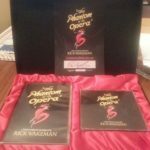 The copy I have ( my third one by the way ) is signed by you and Rick and I would like to purchase the Jon Anderson one signed by you as well ! Perhaps we can arrange something . I will need around 10 / 12 copies for me and my friends and family as gifts . Thank you again for the kind words. I am more than pleased you want 10-12 copies of the yet unreleased Jon and The Warriors book, I think you will enjoy it being such a mad Yes fan as I. At least I know people want one now as it’s a solatary world while producing such a project up until the moment it’s released. As for collecting Yes memorabilia I guess sometimes you get the bug for one particular area. I just did all of it, sounds like you have done the same. That rare single I don’t think I ever found, as for Hans Christian records I cover these in the book so perhaps you can drop me an email about those you have, to see if there is anything of interest. Are you aware of the Yes memorabilia display I am putting on for the Yes Fan Convention Day in March next year? Ken please do get in touch through my email enclosed and we can chat further about memorabilia. perpetual change was the first yes book i ever owned. i lost my original copy but was lucky enough to find a replacement in a used book store a few years ago. so will the new book be an update of that awesome work, or a completely new project ? I am so pleased you like the Yes book I am very proud of that work. The new one is brand new and is based on what happened to Jon Anderson and his career in the build up to Yes. It covers 1960 -1968 and includes Yes’s first year. 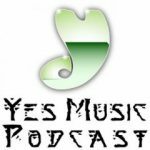 It may be called Jon Anderson and The Warriors – The Road To Yes. Now its 50 years ago this year when he left the band, to find that new musical future he was needing. I was always wondering why these formative 5 years for Jon Anderson had been missed really all his life, This project is a must for Yes and Jon fans, it will give you so much more than anything ever produced so far. It includes facts, figures, stories, family tree, memorabilia, interviews, diaries, photos..like never before. If i am lucky it may get to have a free 7″ vinyl record also of unreleased material. I like to produce a project well and i am very proud of what I have created so far, I look forward to having this released in limited number’s this year or if not then Yes’s 50th anniversary year. My old publisher Plexus Publishing in the UK is looking to produce it. Great to hear from you. Thank you for posting that information. .and like others I look forward to your book. But I must ask..any comments about the actual episode? Yes indeed I enjoyed it a lot. Very honest interview. I can’t wait for the gigs. Its really nice they are happy together I thought, it shows on stage. Yes Dave I think that’s what Lou was hinting at although it’s a puzzle why they don’t make it a bit clearer to him! Hi David , just read your message saying that your looking to release the new book as a limited addition . I’d be gutted to miss out as I’m not very often on here . Will there be a chance to pre order it ( especially a signed copy ) and if so how do I get my mits on one ? 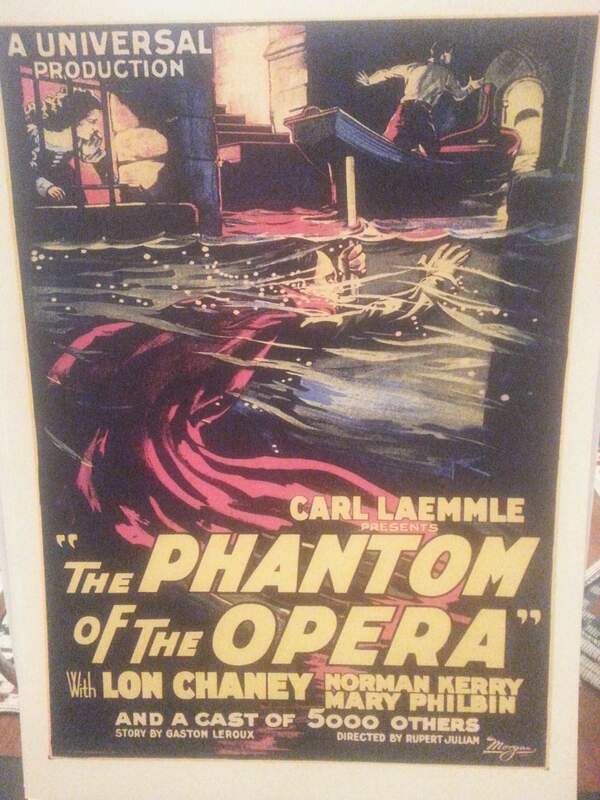 I liked Phantom even more than Mark. The new music works great with the old movie. 9/10. Lou seems to be such a nice man. His drum style is heavier as he says, and this changes the feel of some of the pieces, I thought. Jay in Yes is much closer in style to Alan, and Yes seems to want the live show to be closer to the original. 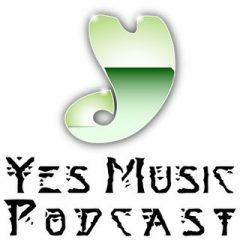 What a great variety in Yes music history we have! I hope we get new music from both groups this year. Fantastic to hear from you. Wow. 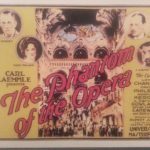 .the Phantom of the Opera really connected with you ! 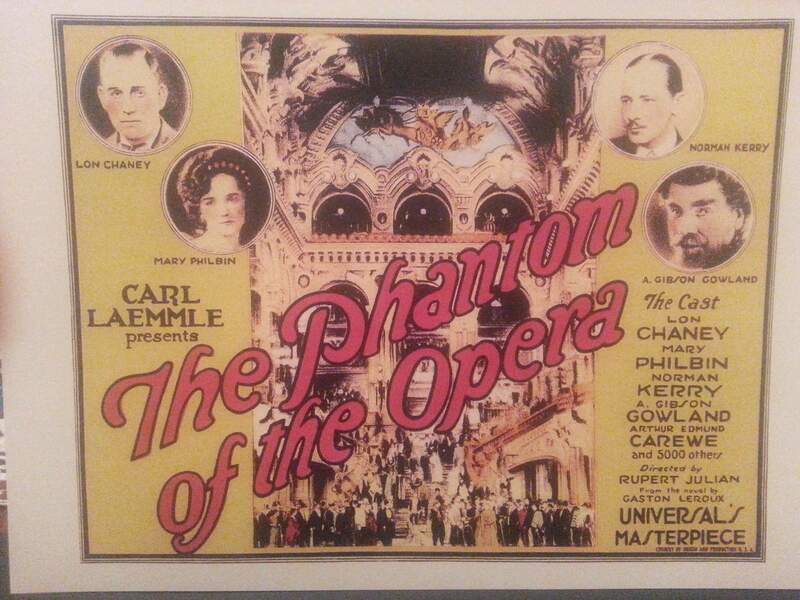 I really enjoyed it…and still watch it often…Rick did a great job with the music. Yes Jay is a great guy…very easy to talk to. 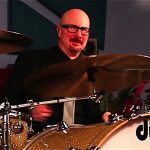 I agree hid drumming style is much more agressive then the Yes drummers..but it works with the updated versions of the songs. It’s great also to hear that another US tour is being planned….please let there be a Canadian date or 3!! How are you my friend? Thanks for the comment…all though I’m a little foggy on what your trying to say. I got the impression that like Lou said he was most surprised by the sense of friendship and family with the group. Although having been in a band before where there was a bit of an age gap between members…that can sometimes lead to a little separation …especially during free time. ..it’s not a bad thing…it’s natural. ..different interests…etc. Thanks for the interview with Lou. What a great bloke he is. I look forward to the next instalment when you two meet face to face at the Birmingham gig. Does that mean you might get to chat with A, R & W too? A correction to your piece on the Wakeman album Mark, The Isle of Man is not in England, it is its own thing with a parliament and different tax laws and even its own language, Manx. It is most well known for the incredibly dangerous and spectacular TT motorcycle races each summer. There’s also the indigenous Manx cat which has a stub for a tail. The British Isles are indeed rather weird and wonderful. Well I really hope I can get to meet them all and being a vague connection of Lou’s can only help I suppose! Fingers crossed! Thanks for the comment. Thank you for the kind words regarding the interview. I’m sure Kevin will do an incredible follow up interview when he attends the ARW show. I’d also like to thank you for the information regarding the Isle of Man. I had no idea it was a separate place not connected to England. I must really investigate this further. Again I thank you for this my friend.